You never forget your first fermented spit drink. In the rainforest of Peru, locals chew yuca and spit the masticated root into jars for fermentation. The resulting alcoholic beverage is a local staple called masato, and a few weeks ago, I was offered my first cup. The masato smelled like pickle juice spiced with cloves. Refusing a drink is social suicide in Amazonia, so I smiled and took a pathetic, thimble-sized sip. It tasted fruity, like sherry. Then I knocked back a more confident gulp, probing the murky drink with my tongue for any hint of saliva. Instead I came away with a cedar aftertaste. The jungle beverage was shockingly refreshing. Masato, only one of its many names, is important for rainforest communities. The drink has been around for thousands of years. It’s critical in everyday life as a source of carbohydrates, as a social lubricant and as a means of exerting political power, according to experts. 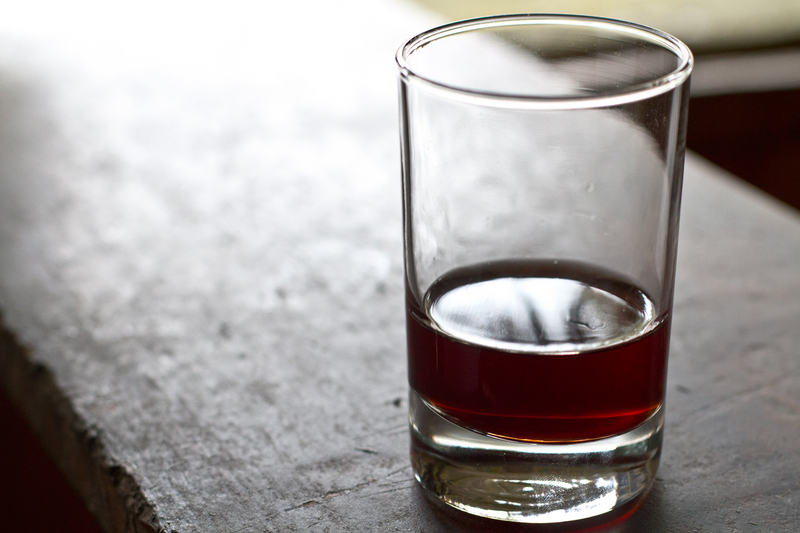 You can make an alcoholic libation out of anything—all you need is sugar. That’s because microscopic fungi called yeast produce alcohol when eating sugar. Masato is a fermented drink based on yuca, which is a big tuber with lots of starch and very little sugar. So native Peruvians boil, peel and chew the yuca and let it sit for a few days. (Eating raw yuca can be dangerous, so don’t do it.) The enzymes in their saliva break down the starch and turn it into sugar—perfect for hungry yeast. If you hold a cracker in your mouth for one minute, it will start to taste sweet. That’s because the enzymes in your own saliva are unraveling the carbohydrates in the starch and turning them into sugars. It’s the same principle. Making masato is a simple process that takes a lot of coordination. Preparing enough for a party requires a lot of planning that can start up to a year in advance—planting, harvesting and processing the yuca. Before pottery existed, a family would sit around a dugout canoe and brew about 45 gallons of masato in one go, says Clark Erickson, an anthropologist at the University of Pennsylvania.